Harmony is a masterfully designed community offering new homes for sale in Spring, TX. Featuring traditional family homes, luxury patio homes and lifestyle townhomes, including those in secluded gated sections, Harmony is South Montgomery County's Premier Master-Planned Community. Conveniently located at the Grand Parkway and Rayford Road, Harmony is minutes from major employment centers, shopping, dining, entertainment and world-class healthcare. A master-planned community by Johnson Development Corp., Harmony offers extraordinary amenities, such as two on-site recreation centers with resort-quality pools, hike-and-bike trails, tree-lined parks, two on-site early childhood education centers, and outstanding public schools. Harmony's showcase model homes, each fully furnished and expertly designed, are open daily. 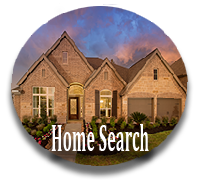 Search for your new home now. Live in Harmony.